A young boy whose wheelchair was stolen from his apartment complex received a replacement wheelchair Friday, thanks to a mother who was moved to tears by the theft. 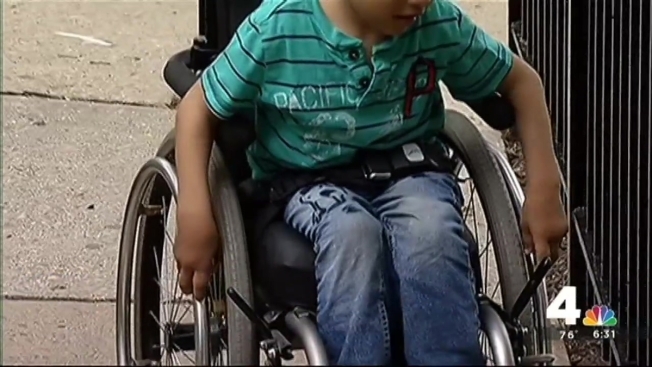 Joshua Romero, 4, had his wheelchair stolen this week by a man caught on surveillance video. Police are seeking help and asking anyone who might recognize the thief to contact them. Nikisha Marshall, of College Park, and her son, Emmanuel, 11, decided to help out Joshua. They donated a wheelchair that didn’t fit Emmanuel anymore. The replacement wheelchair was delivered and accepted by the Prince George’s County Police Department. The Romero family is very grateful for the donation.